One Day at a Time's fate hangs in the balance and CBS All Access has expressed interest in reviving the series. Here's all the details, TV Fanatics. 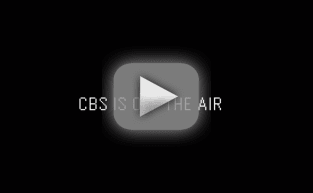 The Twilight Zone took over CBS on Sunday night, and many thought the channel was actually broken thanks to the clever placing of the teaser. CBS All Access is getting into business with Stephen King. The streamer has ordered a brand new TV series based on one of the writer's most popular books. The Good Fight has an explosive new trailer for Season 3 as well as a premiere date. Get all the details about the new season right here via TV Fanatic. CBS All Access has handed out a renewal to Tell Me a Story aka one of the spookiest shows on all of TV. Get all the details right here via TV Fanatic. Marc Cherry is bringing a new soapy drama series, Why Women Kill to CBS All Access, but what's it about? Get all the details on it right here. Star Trek: Short Treks is coming to CBS All Access in the next few weeks, and we have the latest plot details. What can you expect? Find out right here.